President Barack Obama has awarded the Presidential Medal of Freedom to two women who made enormous contributions to the history of computing – COBOL co-inventor Grace Hopper and Apollo programmer Margaret Hamilton. 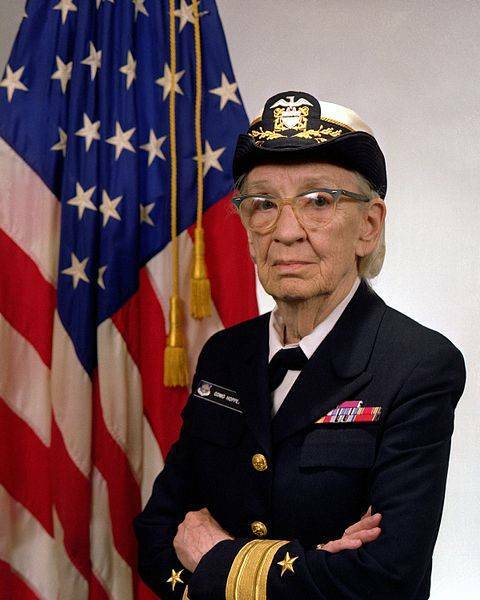 Rear Admiral Grace Hopper passed away in 1992 and received the award posthumously. Also known as "Amazing Grace" and "the first lady of software", Hopper was born in 1906 and gained a PhD in Mathematics from Yale in 1934. During WWII she joined the US Naval Reserve as a junior grade lieutenant, and became one of the first programmers on the Harvard Mark I. After the war, Hopper went on to join the team developing the UNIVAC (UNIVersal Automatic Computer) and would also be a technical consultant to the committee which defined the programming language COBOL (COmmon Business-Oriented Language). She is credited with inventing the first compiler for a programming language and with popularising the term "bug" to describe a computer error: in that specific instance, an actual moth which had fallen into one of the computer's mechanical relays. Also awarded the honour during a ceremony at the White House yesterday was Margaret Hamilton, who led the team that created the on-board flight software for NASA's Apollo command and lunar modules. The White House described Hamilton as a mathematician and computer scientist who contributed to concepts of asynchronous software, priority scheduling and priority displays, and human-in-the-loop decision capability, which set the foundation for modern, ultra-reliable software design and engineering. Hamilton popularised the term "software engineering" during here NASA work to emphasise the sophistication of developing software and have it held in similar esteem to the fields of her colleagues, including the hardware engineers.